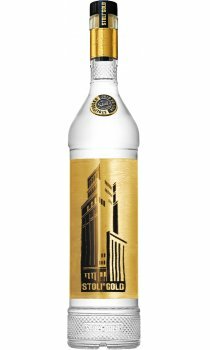 Stolichnaya Gold from the Celebrated Grand Distillery in Moscow comes the rarest and finest Russian Vodka Stolichnaya Gold for the ultimate in smoothness. Enjoy 'Gold' neat, icy cold or in long drinks and cocktails. Superior to both Blue and Red Stoli, this vodka is truly a wonder to behold. It should be the seen as the alternative to the Stoli as a slightly more premium vodka, but not as super-premuim as Elit. A sweet aroma greets the nostrils with the customary burning sensation provided by most vodkas absent. Dry on the pallette, and clean (that is, not such an oily taste) this drink should be enjoyed on the rocks. If a mixer is required, then tonic should be chosen.